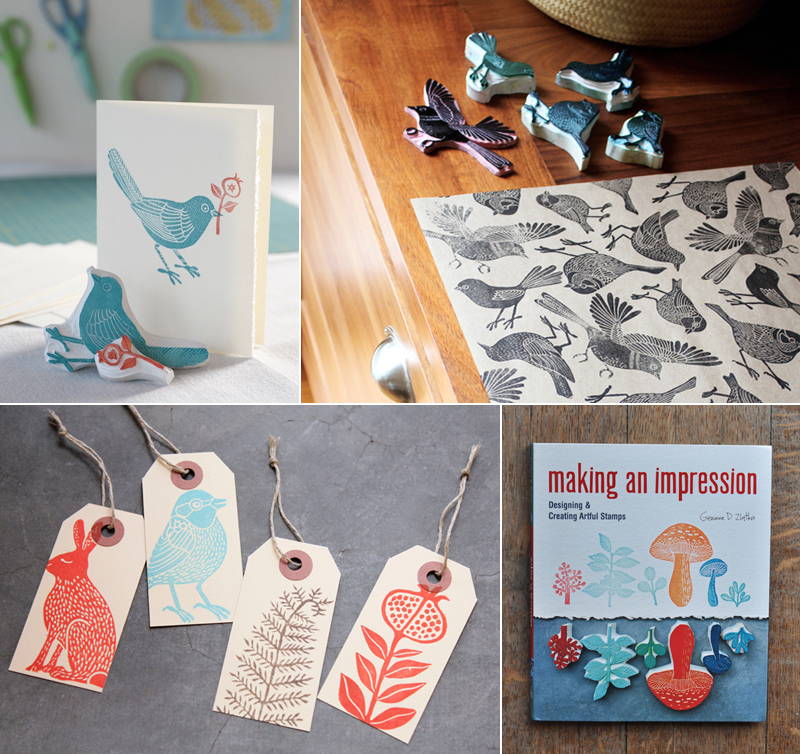 we are truly excited to have Geninne D. Zlatkis from Geninne's Art Blog to share some of her ideas and methods from her new book Making an Impression in learning how to make your own hand carved stamps. During the one day workshop you will learn a technique to transfer your motif onto the rubber carving block and and use a lino cutting tool to carve out your design. She will show you different methods to ink your stamps and many fun ways to incorporate your design into something useful like wrapping paper, gift tags and cards. price: $240 + HST (materials included + a signed copy of Making an Impression) - but feel free to bring some ideas/images and any extra materials you may have. *note for cancellation - 50% of payment will be refunded upon cancellation. © 2006-2013 bookhou design inc.
please ask permission before using anything on this site. thanks for understanding.